Valentine’s Day is just a few days ahead! As such, many traveling couples in the city have already planned how and where to spend this memorable day. For some of us in Singapore, however, our busy schedules just wouldn’t allow for a long trip abroad. But thanks to staycations and boutique hotels, there is no excuse to miss out on enjoying the world’s most anticipated sleepover night like everyone else. Below are ten romantic hotels in Singapore all set to backdrop your amorous rendezvous, so pack up and set yourself for a one-night thrill with your lover. Located only 10 minutes away from Somerset, Lloyd’s Inn is one of the top choices for minimalist couples to bunk in. Known for its all-white rooms and interior decor, the hotel fits all your needs for Valentine’s Day if you’re looking for an experience sans all the frills. Looking to flower up your relationship to the next level? 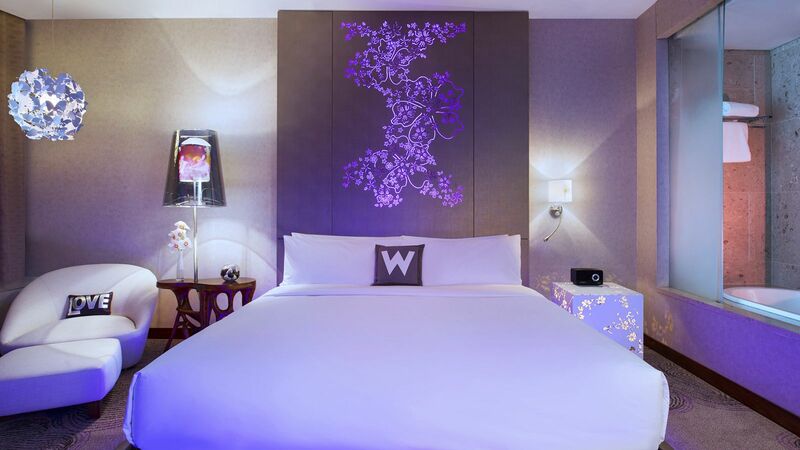 Check out the offerings at W Singapore in Sentosa Cove, specifically their Wonderful Room. Inspired by orchids, Singapore’s national flower, the room is artfully bedecked in adornments of sleek furnishings, curated tropics-inspired decors, and purple-tinged lighting. Modern romance at its best, we’d say! Fans of Parisian romance can look to So Sofitel’s eclectic enclaves to butter things up this Valentine’s Day. Located on Robinson Road, the hotel’s spacious So Lofty suites bear resemblance to chic Parisian apartments, paying homage to chicness by way of velvety couches, pop-art posters, old-charm decorations, and state-of-the-art marble bathrooms. When not too busy basking in the plush offerings of your roomy accommodation, you can indulge in a fancy fusion dinner for two at So Sofitel’s in-house restaurant, Xperience. Introduced only 2.5 years ago, Hotel Vagabond is as eclectic and whimsical as it gets. The Syed Alwiestablishment is a feast for the eyes. 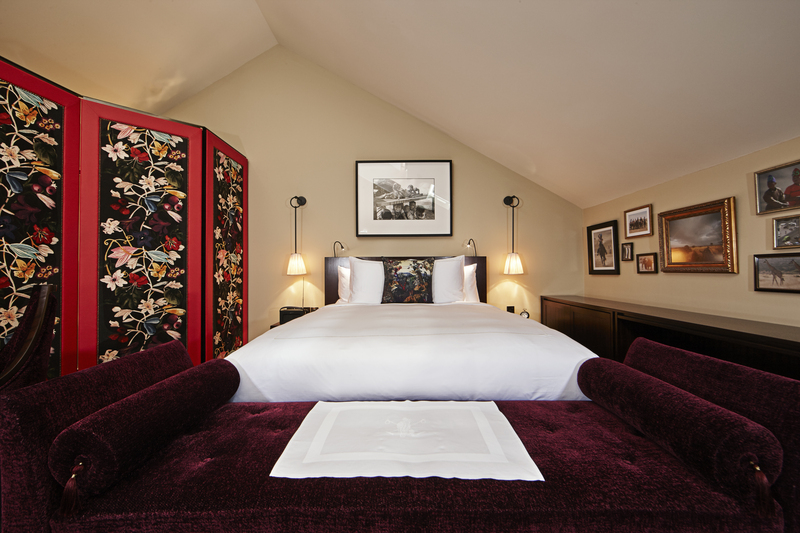 Designed by French interior expert Jacques Garcia, the hotel surprises with every room,each a unique amalgamation of lush colours, wooden textures, and fabric plays. We believe the terraced rooms make for the most romantic option: not only are they able to get some fresh air now and then, they also get to bask in the view of Syed Alwi street. 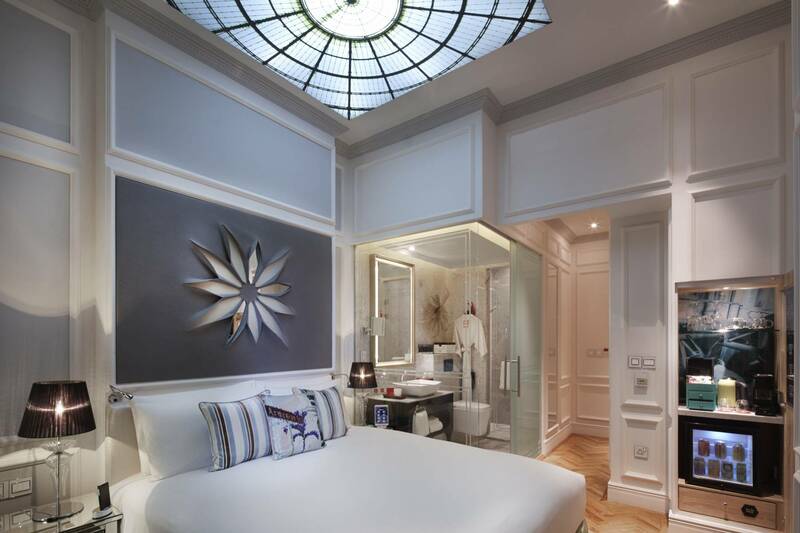 If you want to go all the way, then give St. Regis Singapore a go. There’s nothing quite like the luxurious services and amenities provided here, rolled out in old-style Britannia. Butlers are available at your service with just a button. When not too busy enjoying the sleekness of your room, head on to Brasserie Les Saveurs, the hotel’s in-house restaurant, where you and your partner can indulge in a bubbly case of champagne brunch. To celebrate your love with a little touch of heritage, consider Kam Leng Hotel. Located on Jalan Besar, Little India, this boutique hotel is every bit the embodiment of old Singapore. From its rattan furniture and granite floors to pop-art paintings and granite floors, everything here will bring you back to love, the nostalgic way of the 1930s. Staying true to its name, The Scarlet Hotel is bedecked in everything red, yet there will be nothing causing you to see crimson should you book a stay here this Valentine’s Day. There’s nothing quite like a blood-red, rose-petaled room to kickstart your special night in at this establishment. A V-Day sleepover comes equipped with a Signature Lovers’ Amenities Kit, complementary bar as well as usage of Handy smartphones, and a conveniently late checkout time. If rejuvenation more of your focus this V-Day, then look no further than Amara Sanctuary. Located on Larkhill Hill on Sentosa Island, this luxurious resort promises the restoration of one’s wellness with a relaxing stay. Why not make the night extra special at one of its signature Verandah Studios? Here, the spa-like room comes with a comfortable canopy bed and decadent bathroom, where you can unwind with your lover like no time exists. Are you and your partner passionate about green living? Then celebrate your milestones with a check-in at the Parkroyal on Pickering, Singapore’s first eco-friendly hotel. A walk into Parkroyal’s perimeters is akin to exploring lush wilderness; everywhere you go, there are trees every meter to greet your eyes and hearts. And as if the energy-conversing sensors in its zen rooms are not enough to entice you, there’s also the prospect of strolling through its sky gardens to look for. It won’t be a surprise if you emerge super meditative out of your nightly stay. 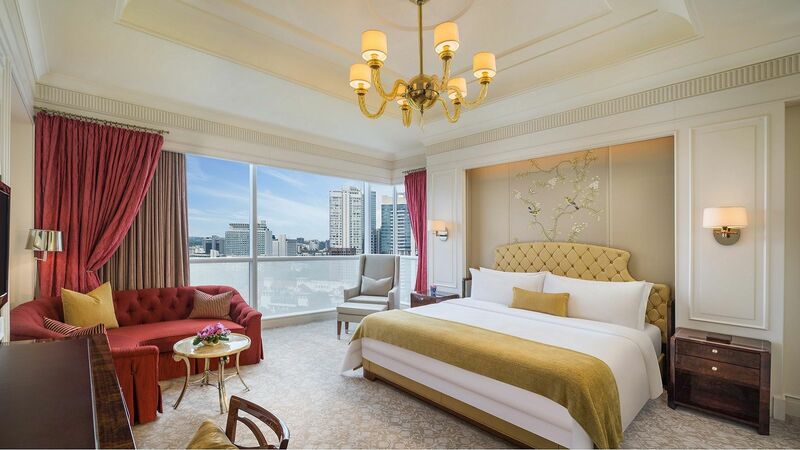 If pure luxury is what you’re in for, then head over to Capella Singapore. Soundly situated in Sentosa, the award-winning urban resort is set on a vast estate encompassing lush gardens that culminate in a stunning view of the South China Sea. Rooms here are as spacious and sleek as they come, so you can be sure that any city worries you may have pre-Valentine’s will melt away. Set in a 1928 post office on Fullerton Square, the Fullerton Bay is far from looking an old relic. The hotel’s building, refurbished to include the best of modern amenities such as free Wifi, well-stocked mini bars, and phones, is as historically posh as you can get.